Whether you’re looking to illuminate or bronze, your newest luminising hero has arrived. 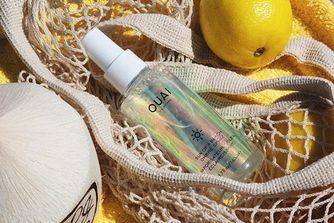 Perfect for immediately transforming dull, lacklustre skin, this customisable formula is all you need to glow your own way, imparting instant illumination or a sun-kissed tint. Formulated for ultimate versatility, the drops can be used to highlight bare skin, blend into moisturiser or foundation for all-over radiance, or layer as a stunning finishing touch. Another purse-friendly, pro-standard gem from NYX Professional Makeup, we’re after one in every shade! If you want to be beautifully bronzed, instantly illuminated or – best of all! 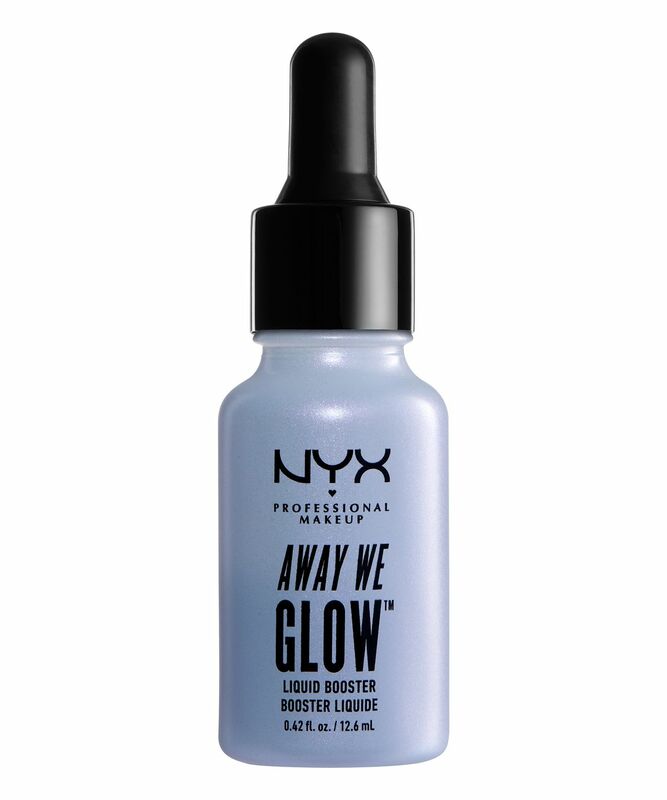 – both, look no further than NYX Professional Makeup’s Away We Glow Liquid Booster. The answer to your most radiant make up daydreams, Away We Glow Liquid Booster by NYX Professional Makeup comes in four ultra-flattering shades: there’s ‘Zoned Out’, a white base with blue duo-chromatic pearls; ‘Glazed Donut’, a warm champagne hue; ‘Love & Light’, a rose gold base streaked with blue-gold pearl and ‘Untamed’ a deep bronze tone for seamless sun-kissing. Highly concentrated and ultra-pigmented, the multi-use liquid formula is all you need to customise your glow. Formulated for the ultimate versatility, the booster can be used to highlight bare skin, blend into moisturiser or foundation for all-over radiance, or layer as a stunning finishing touch. The formula blurs imperfections while lending skin a healthy, lit-from-within glow – a few drops and away we glow! Mix drops into your primer, foundation, or moisturiser for natural all-over glow. Use on bare skin or over makeup for a bold and radiant strobe effect. The more drops you use, the more luminous or bronzed your face will get! Glazed Donut is the perfect shade for pale skin! It's so subtle which makes it great for everyday use, just adds that perfect dewy glow to your skin. I've been applying it as a highlighter on my cheek bones and received so many compliments, it is really an amazing bargain buy! I have the shade "Zoned Out" and it gives such an amazing glow to your skin! I use it on top of my foundation as an highlighter and apply with fingertips for maximum glow. Suits perfectly pale skin too! Love that it's affordable and good quality.